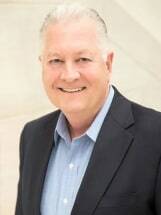 Mike Terhar heads Cunningham Swaim’s California office located in Pasadena. With more than 30 years of litigation experience, his litigation work is as diverse as California itself — from aviation litigation, to product and premises liability cases, to accidents involving sports and recreation. Mike has handled numerous cases in the movie industry — most notably his defense of director John Landis in wrongful death lawsuits related to the filming of the “Twilight Zone” movie in 1983. And, at one point in his career, Mike even defended the King of Pop himself, Michael Jackson, in an auto accident case. Mike’s aviation practice has included the defense of multiple airlines, both public entity and privately-owned airports, airport management companies, airport security companies and aircraft component makers, fixed base operators, A&P mechanics, Part 145 repair/overhaul facilities, and pilots. He has defended non-aviation manufacturers in all manner of product liability cases including ladders, scaffolds, fire suppression systems, alarms, automobile components, manufacturers and maintainers of pool and spa equipment and surgical equipment. In the course of doing so he has handled cases all over the western United States including not only California, but Oregon, Washington, Arizona and Utah. He is the West Coast regional defense counsel for Werner Co., the largest ladder manufacturer in the United States. In the field of sports and leisure accidents, he has defended the American Youth Soccer Organization, the American Softball Association, USA Hockey, USA Gymnastics, Boys and Girls Clubs and numerous other youth sports leagues, summer camps, martial arts and gymnastics academies, equestrian facilities and public entities operating sports fields and facilities in personal injury and wrongful death cases. He has been a guest lecturer before some of these organizations on liability issues including primary assumption of risk and express waiver and release agreements. He has held Red Cross certificates as a water safety instructor and lifeguard, P.A.D.I. scuba diving, and was an AYSO Advanced level soccer referee.